Ygrene makes upgrading your HVAC easy and affordable. With no money down and a quick, simple approval process, you’re well on your way to increasing the comfort and energy efficiency of your home. 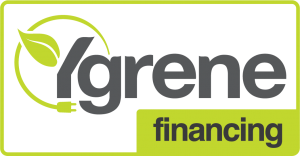 Ygrene makes home improvement financing fast and affordable. Award-winning Ygrene offers no money down property assessed clean energy (PACE) financing for energy efficiency, hurricane protection and renewable energy home improvements, conveniently repaid with your property taxes.1 A smart alternative to traditional financing, eligibility is based on the available equity in your home—not on your FICO score (or proof of employment, income or financial statements). Fixed rates and flexible terms up to 30 years are available depending on service area and type and estimated useful life of the improvement. 1 While PACE programs are enabled by state legislation and must be approved by your local government, Ygrene is not a free government program. 2 Subject to underwriting guidelines and approval; deferral of first payment depends on date of funding; interest accrues during entire deferred payment period.